You like to have air circulating throughout your room, but who wants to listen to the noisy wobble of an oscillating fan? Vornado has you — and your room — covered with its 4-speed tower. The unique crosscut outlet, which creates continuous air movement throughout the room, eliminates the need for oscillation and the noise associated with it. With a sturdy base designed for stability, your tower will help you create a quiet, comfortable space. I have to say I was surprisingly impressed by how good this Fan is. Cools my entire apartment totally saving money by cutting down the use of my air conditioners. 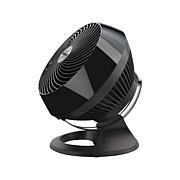 I have been debating for years on getting a better fan, but didn't want to spend a lot. I spent the extra money on this fan and I have no regrets. It's amazing and keeps my entire bedroom nice and cool. 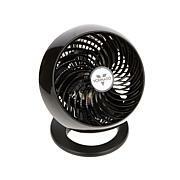 This is the best fan out on the market. 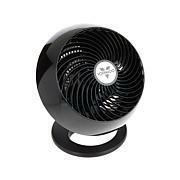 Once you have bought the vornado brand you won't trust any other brand. I bought this product to use in my master bedroom which is almost oven like by the end of the day. I figured that I'd use it in a different room if it was too loud.But I have say that dispite it's height, it is quiet enough to sleep through on its highest setting and I am not a heavy sleeper. The remote control sits on the top because I haven't needed to use it yet. I was very impressed with the packing and the company has a brief note about the unit. 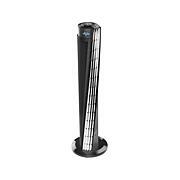 The 5 year warranty did much to calm my worry over the price of the item as well.I my be ordering another one this next summer for my son's room. Hard to tell on these types of items just by the description. This one produces a lot of breeze as described, very quiet. Has already provided for better sleep.